Lithuania, perhaps known better for its tall, exported NBA players than for their thriving underground scene, is where we’re travelling to today. Say No More is a fresh label out of the capital, Vilnius, perhaps looking to change our perspective and shine a fresh light on the Baltic state, and we at Bolting Bits are happy to be of help. With only one former release under their belt thus far from young Londoner Sukha, they’ve decided to traverse across the globe to New Zealand for their second outing. SNM002 comes from Azure, another fresh-faced talent and founder of Crooked Lidz, who you may also better know as one half of duo 2XM. 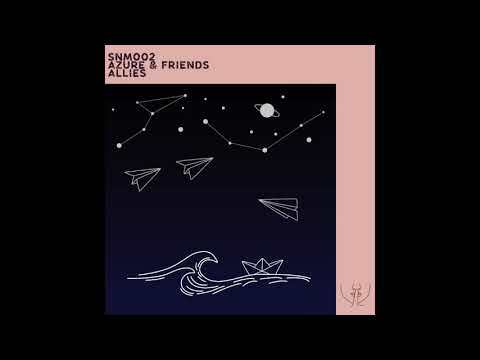 The four track “Allies” EP is a bewitching little journey with plenty of textured soundscapes to lose yourself in. Our premiere and the A1, ‘A Flicker of Love‘, starts us off with vocals repeating “ecstasy” and deep pads reminiscent of some early 2000’s trance numbers. Luckily this is a more modern take on the sound and the track develops with a lovely little bloopy lead, cosmic atmospheres and a much slower rhythm than its older counterparts. The rest of the EP is no slouch either and features some of Azure’s Crooked Lidz crew. From his partner in 2XM, Benjamin Murray, to friend and collaborator Kills and the most recent to release on the label, Caramel Smooth Heaven. All of their different influences are equally felt yet the one constant, Azure, helps keep the EP stay firmly glued together. We’re curious to see where Say No More will be looking for talent next but in the meantime you can grab this EP straight from the label’s Bandcamp.